PIANO DOLLIE WITH STRAPS PAIR Rentals Ft. Collins CO, Where to Rent PIANO DOLLIE WITH STRAPS PAIR in Ft. Collins, Wellington, Greeley, LaPorte, Loveland, Windsor CO and all of Northern Colorado. A pair of dollies made for moving upright and spinet pianos. 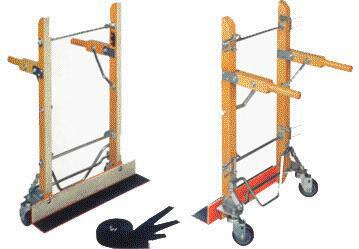 Weight of the dollies is 55 lbs per pair, CAPICITY is 1000 lbs. 32" HIGH, 23" WIDE, the base plate is 4" X 23"
4 straps are included 7 ft long each, please do not put knots in the straps. * Please call us for any questions on our piano dollie with straps pair rentals in Fort Collins, Wellington, Greeley, LaPorte, Loveland, Windsor CO and all of Northern Colorado.